Researchers Amichai Shulman, Ron Marcovich, Tal Be'ery and Yuval Ron will detail a vulnerability of Microsoft's Cortana in their Black Hat USA Briefing "Open Sesame: Picking Locks with Cortana." Cortana vulnerability (cve-2018-8140) enables attackers to compromise locked machines and escalate privileges to access private information without detection. This attack can be conducted without deploying external code, mitigating the usefulness of anti-virus and anti-malware softwares. 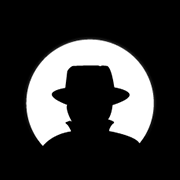 Hear the findings, learn defense mechanisms, detection tools and more at Black Hat USA 2018. This year’s Briefings span 18 Tracks including malware, network defense, and exploit development. Check out the Briefings Lineup and register by July 13 to save on your pass.